Copyright © Chatsworth. Images used with permission. Keep track of your life with these sticky memo cubes with a design by Chatsworth and presented by The Boatman Group. 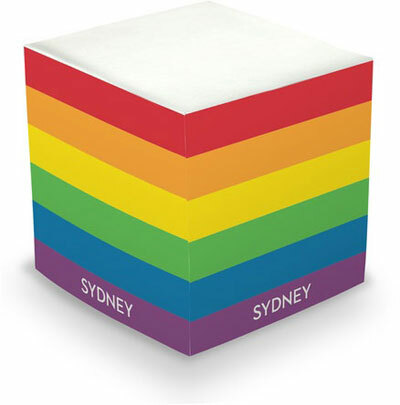 Each cube contains 675 sheets and the design and personalization appears on all four sides. Typestyle and ink color is as shown only. Do you want Gift Card included with the order? If yes, what should the Gift Card say?